Please join us for Mass to celebrate St. Andrew Nativity School’s sponsorship by Jesuits West. Provincial Scott Santarosa, S.J., will be our celebrant. Mass will be held at St. Andrew Catholic Church: 806 NE Alberta Street. A reception will follow the Mass. Join us for our 18th annual Promoting Success Luncheon held right here at St. Andrew Nativity School. Student led tours begin at 11:00 am and the program begins at 12:00 pm. Purchase your tickets or join us as a table sponsor with the secure payment options below. Contact Alicia Tillery at atillery@nativityportland.org 503.335.9600 for more information. Get your tickets for a chance to see Portland’s own pop phenomenon, Frankie Simone, in an intimate concert setting at Marmoset Music HQ. There will be amazing food, drinks and you certainly don't want to miss out on our AMAZING auction items. We've got Pickathon tickets, wine tours, a Portland Timbers signed jersey with 4 front row seat tickets, and a private photography session. Proceeds from the night will go directly to supporting Nativity School. Join us for our annual Nativity Blazer Bash! January 11th, 6:00 p.m. – 10:00 p.m.
Online ticket sales are closed, but tickets will be available at the door! We hope to see you tonight. Join us at Nativity School on November 3rd, 2018 for our 5th Annual Harvesting Success Dinner. Student led tours and cocktails begin at 6:00 p.m. and program at 7:00 p.m. The event will feature a menu designed by the head chefs of Irving St. Kitchen, Il Solito, Grassa, and Southland Whiskey Kitchen. Music will be provided by Billboard artist, Patrick Lamb. This year's live auction will include exciting wine and food destinations as well as a commissioned painting by Portland fine artist, Joanne Kollman. Click here for a full preview of the exciting auction items you can bid on at the event! Thank you for your interest in Harvesting Success. We are all sold out! We hope you can join us next year! Nativity kicks off its 18th school year with its annual BBQ! Nativity families, alumni, and community members are all welcome. Food and drinks will be provided by Nativity and Umpqua bank will generously be providing ice cream! For the kids there will be a water slide (bring your bathing suits and towels! ), a bouncy house, fun carnival-style games and face painting. Join your peers for a night of music, food, libations, and fun to help us support and raise awareness for the hardworking kids of St Andrew Nativity School. 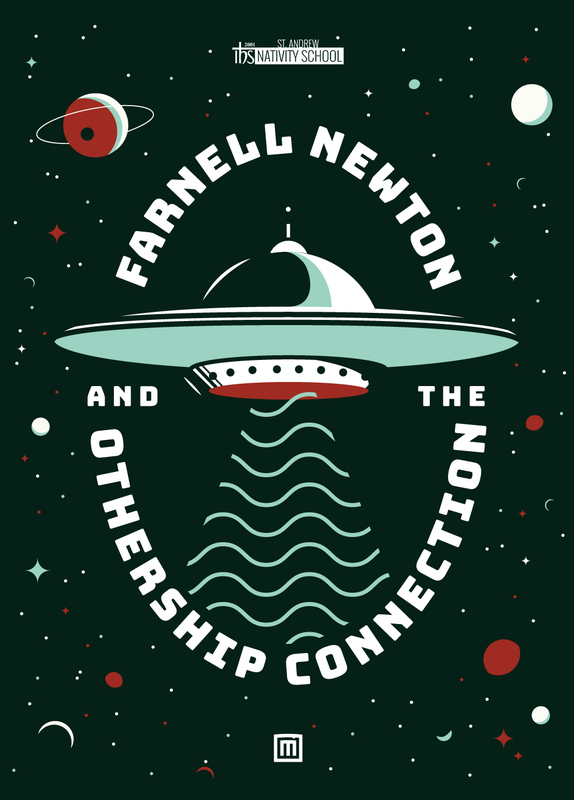 Music by Farnell Newton and the Othership Connection. Presented by Marmoset Music. Event is 21+. Online ticket sales are now closed. Tickets purchased online will be available at the check in table the night of the event, along with drink tokens and raffle tickets. Tickets will be for sale at the door the night of the event, but there will be a limited number sold before capacity is reached. Can't make the event, but still want to help out the cause? Click here to help make a difference in these young students live's. Join us for the annual Nativity Blazer Bash at Lagunitas Community Room! A great way to support Nativity and your favorite team. For only $10 advance admission ($15 at the door), you get to watch the away game against the Dallas Mavericks on the big screen, enjoy some top notch pizza from East Glisan Pizza, and have a beer on us. There is also giant Jenga, beer pong and other games with chances to win great prizes, including Blazers Tickets!